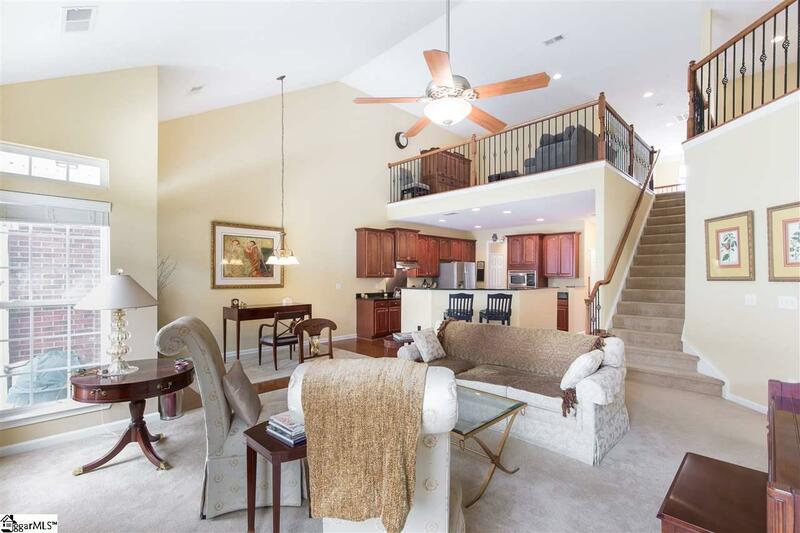 Highly sought after executive Townhome - end unit with extra windows, over 3200 square feet, Master on main floor, three additional bedrooms and a loft, and lots of upgrades! Entertain family and friends in the spacious kitchen featuring- granite counters, stainless appliances, and butler's pantry. 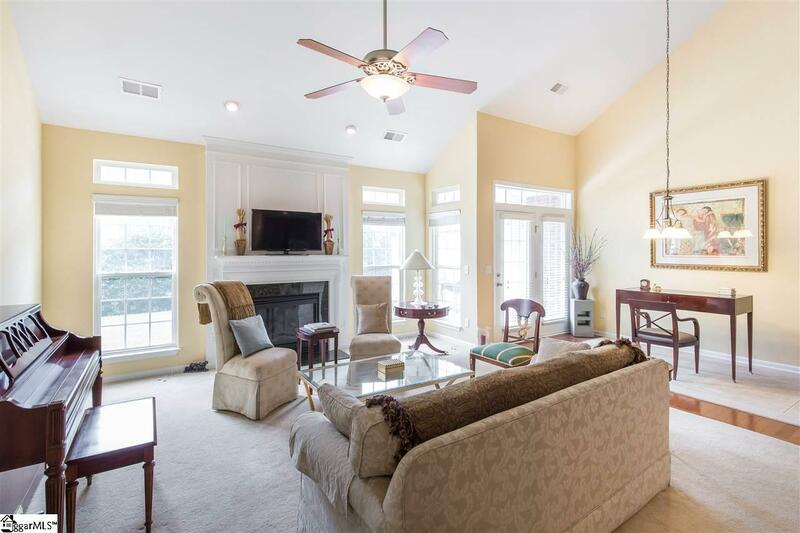 The open floor plan to the Great room with vaulted ceiling, gas fireplace, and lots of natural light. 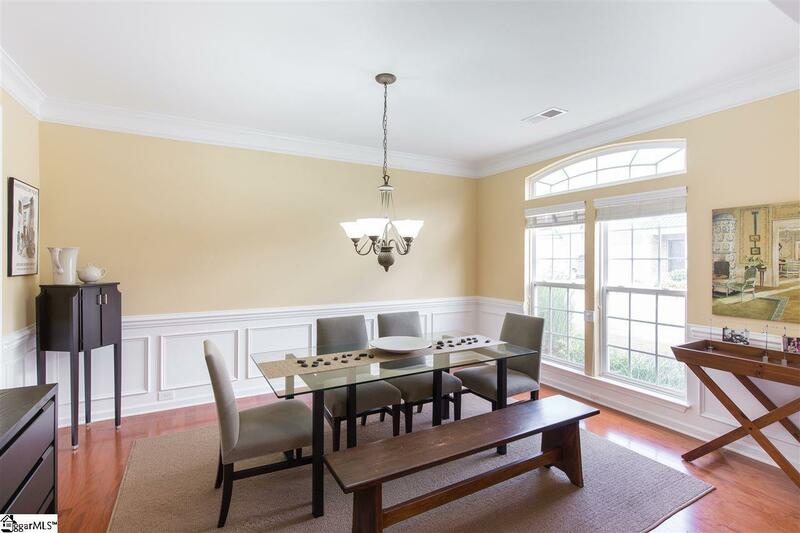 Hardwood floors in dining room, kitchen and breakfast, wrought iron stair balusters, upgraded lighting package, and extended patio that offers some good privacy. Don't miss this care free living with lawn maintenance included in monthly HOA AND outside maintenance: roof, painting, irrigation, termite. Neighborhood Amenities feature community pool and tennis courts. 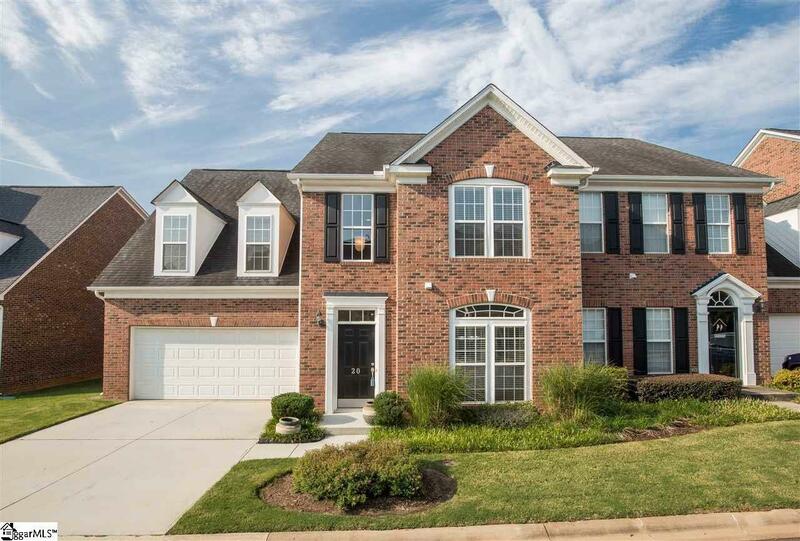 Zoned for award winning schools in established Five Forks neighborhood! Listing provided courtesy of Tracey Cappio of Coldwell Banker Caine/Williams.